Just as unique as Roaring Fork and Cades Cove, the Newfound Gap Road is known as the lowest pass through the Great Smoky Mountains. The 31-mile road encompasses a variety of forest ecosystems ranging from cove hardwood, pine-oak, northern hardwood, and spruce fir. With an elevation of 5,046 feet, be sure to bring a jacket along as the weather usually takes a 10-degree drop in the area. 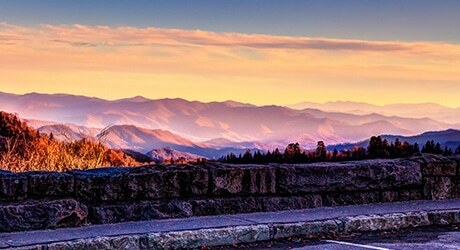 Newfound Gap is also the only fully paved road in The Smokies that travels directly through the center of the park. 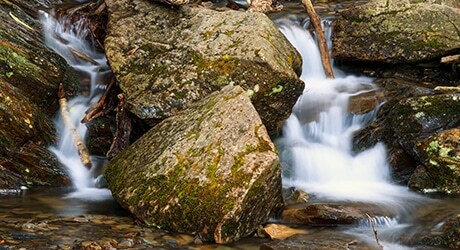 At a faster pace than the Cades Cove Scenic Loop, Newfound Gap provides distinct mile-markers to easily identify sites like the Smokemont Campground and Nature Trail, Oconaluftee Visitor Center, Mountain Farm Museum and Newfound Gap. From the Pigeon Forge Parkway heading into the National Park, follow the road signs toward Cherokee, NC for 40 minutes.